Annual Membership: $25, Valid For 1 Full Year. Members signing up get ONE free show admission and your choice of THREE of our premium Blues CDs. You can make your selection at the next Santa Barbara Blues Society Show. Life Membership: $100 ,Valid For Life, yours or ours. Life Membership includes ONE free show admission, ONE free T-shirt OR mug, and your choice of THREE of our premium Blues CDs. You can make your selection at the next Santa Barbara Blues Society Show. 1. By Telephone: Call the SBBS at (805) 722-8155 for info on joining. 2. By Mail: Download the membership form below print and mail it in with your dues. Please specify your name as it is to appear on your SBBS membership card. Members receive a discount of $5 per ticket. Three discount tickets may be purchased per member. Valid at all SBBS shows & many local affiliate venue blues related shows. Subscription to the SBBS Newsletter. The prestige of belonging to & supporting the SBBS, the oldest blues society in the USA. We’re a 501(c) non-profit organization. While membership dues are not tax-deductible, donations are tax-deductible and they are gratefully accepted. 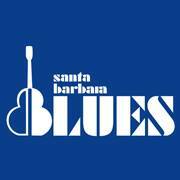 All SBBS funds are used to promote the blues in Santa Barbara! We are constantly seeking volunteers to assist us in this endeavor. If you are interested please contact us or call us at (805) 722-8155.